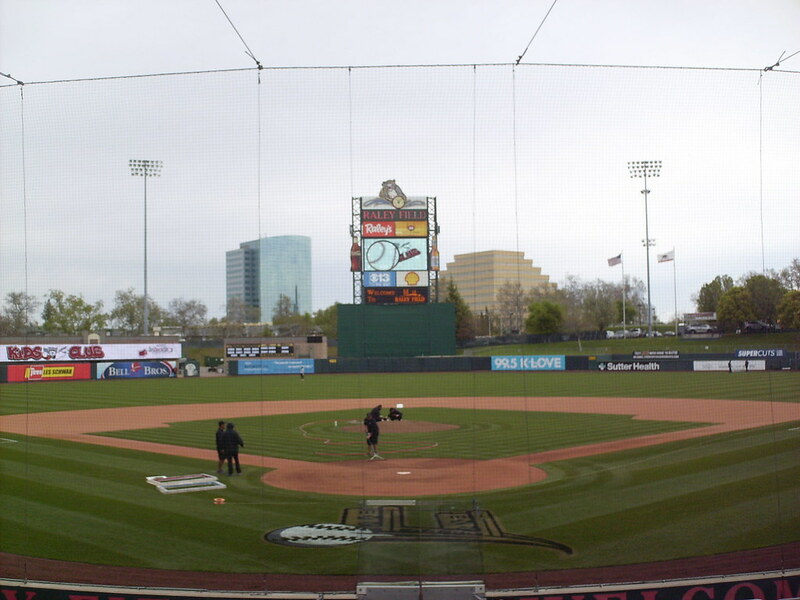 The view from behind home plate at Raley Field. 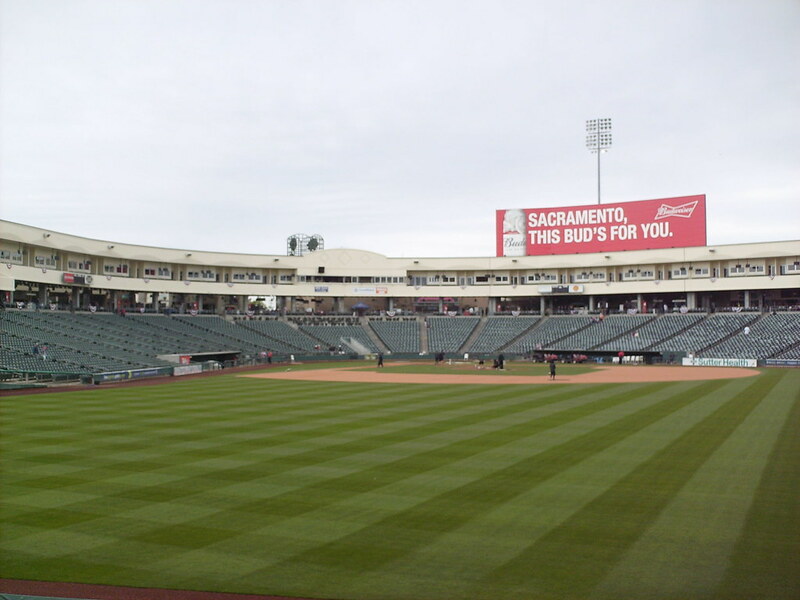 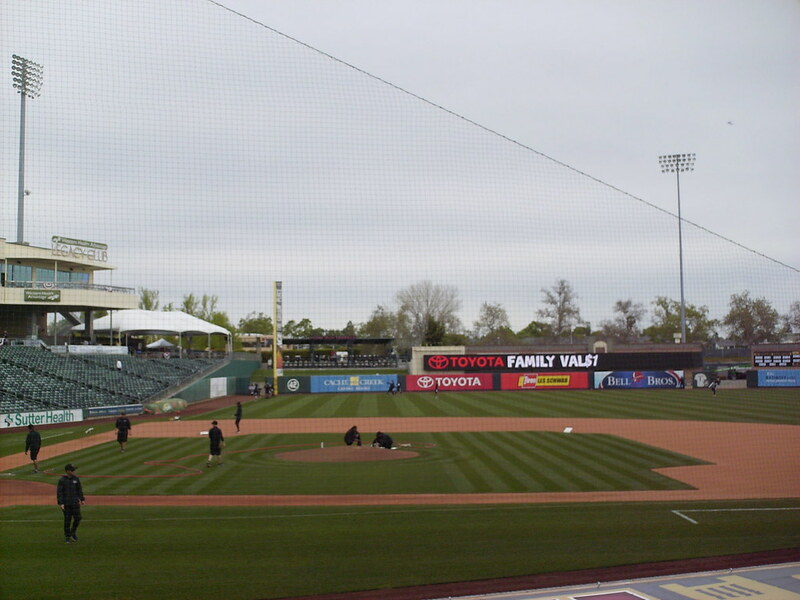 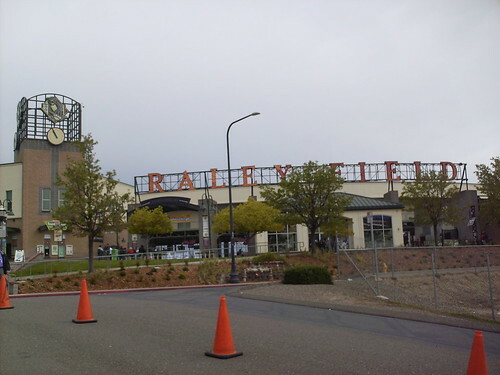 The grandstand at Raley Field, as seen from center field. 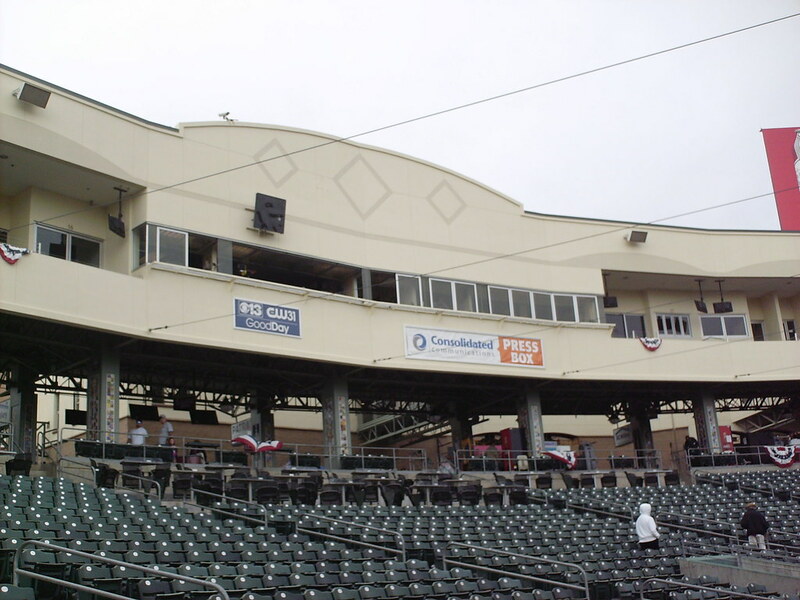 The pressbox sits on the second level behind home plate, with luxury boxes on either side. 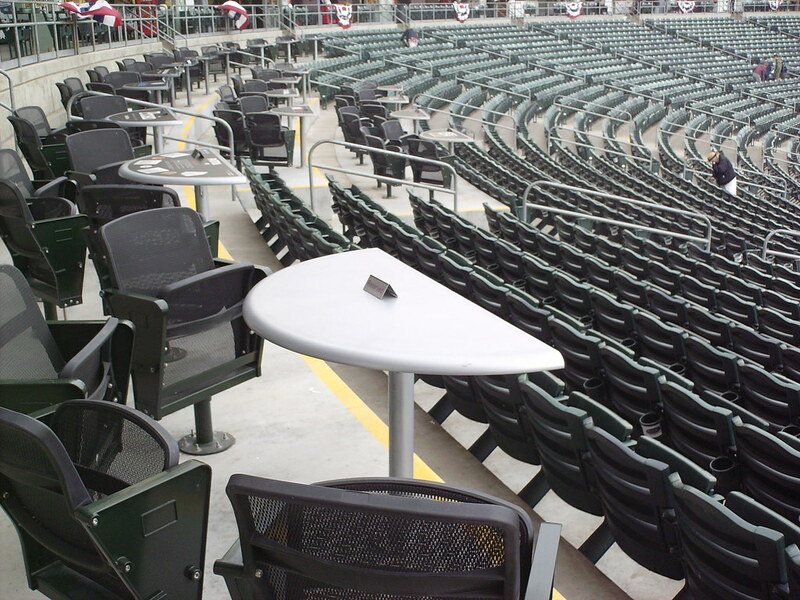 Four top table seating runs along the top of the seating bowl in the sections behind home plate. 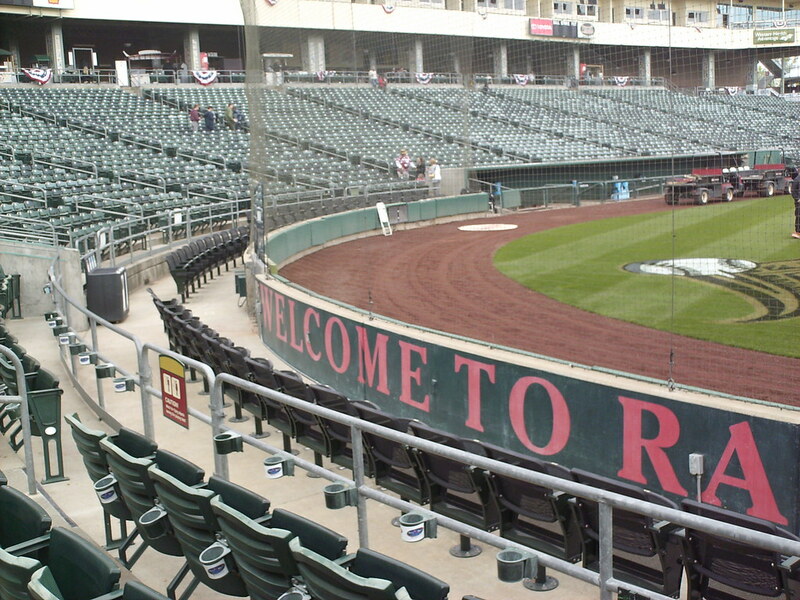 A single row of premium seating runs behind the backstop, sectioned off from the rest of the grandstand. 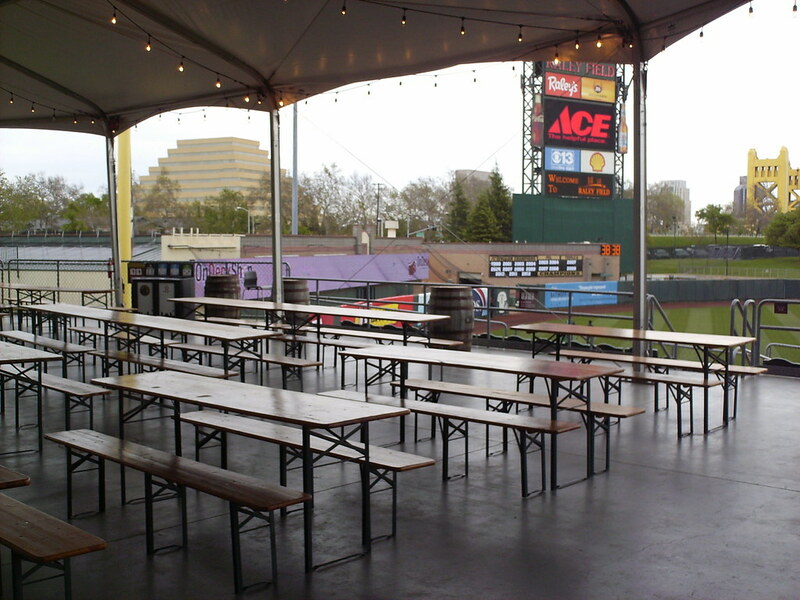 A covered picnic area sits at the third base end of the concourse. 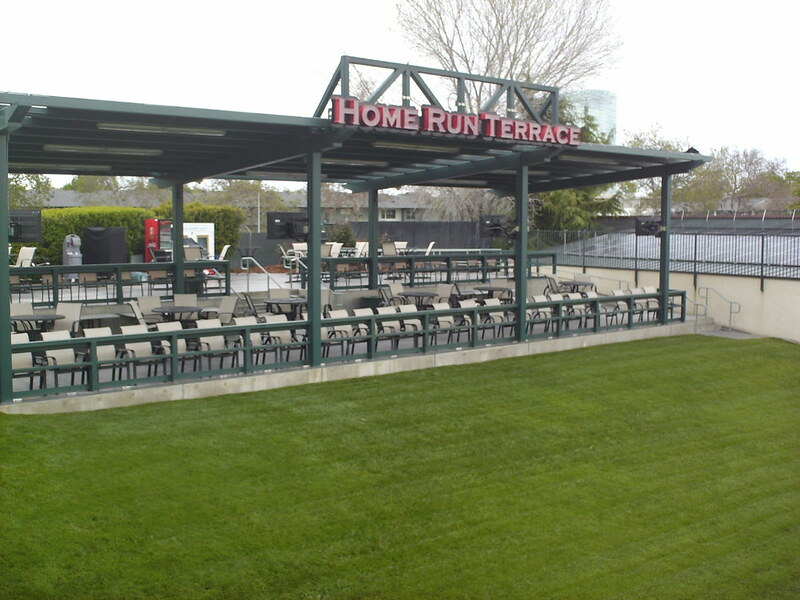 The Home Run Terrace, a covered group seating area, sits on top of the left field berm at Raley Field. 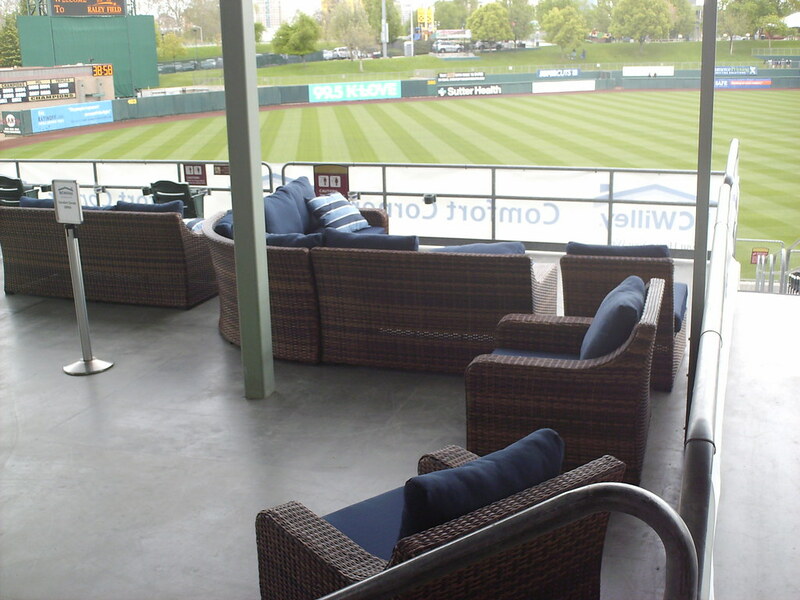 Padded lawn furniture sits in an outdoor suite on the third base concourse. 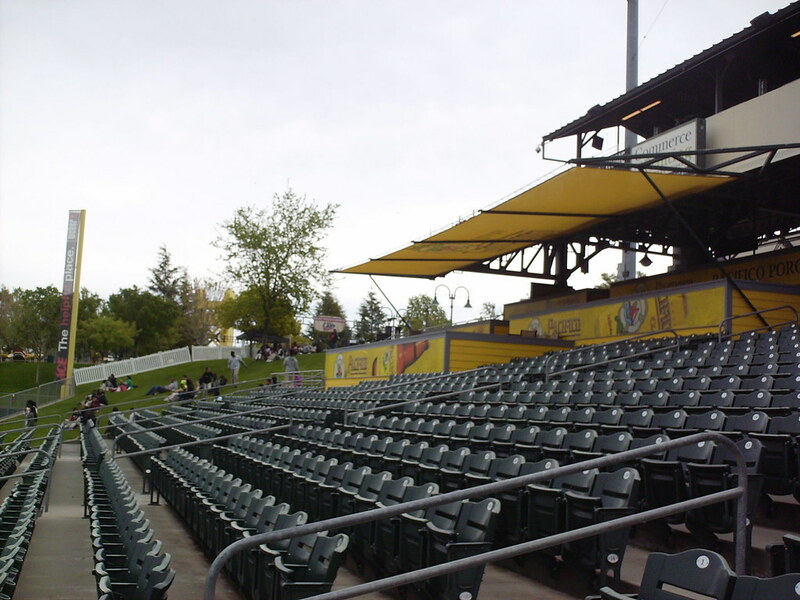 A porch area with an awning over it takes up part of the seating bowl on the right field side of the park. 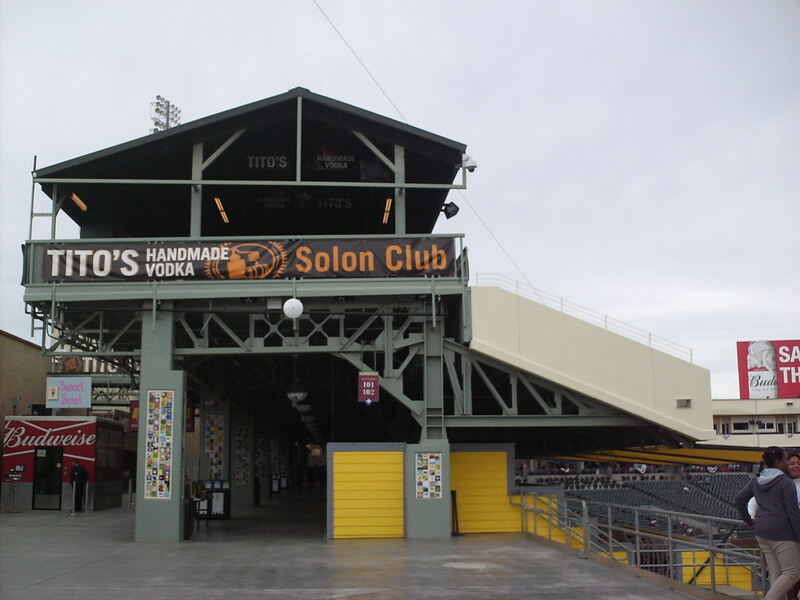 The Solon Club, on the second deck of Raley Field, pays homage to Sacramento's former Pacific Coast League team- the Sacramento Solons. 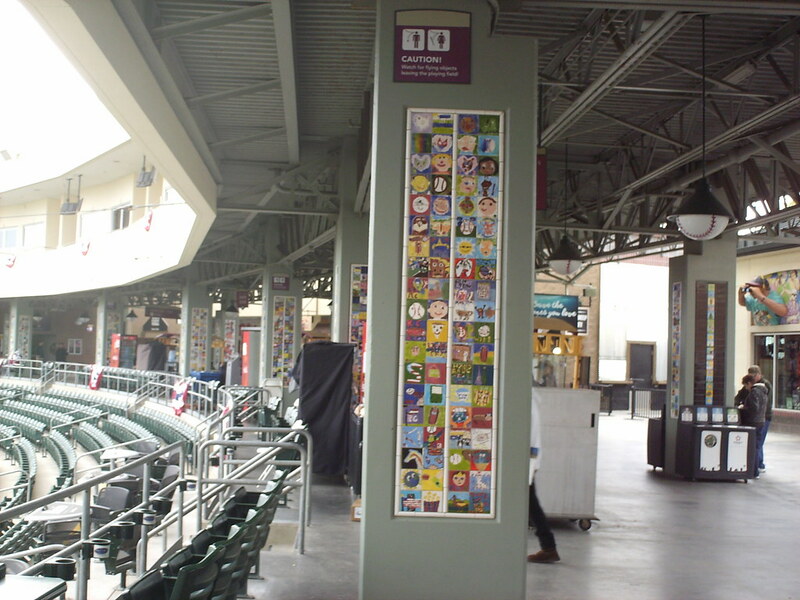 The support posts along the concourse feature art by local school children. 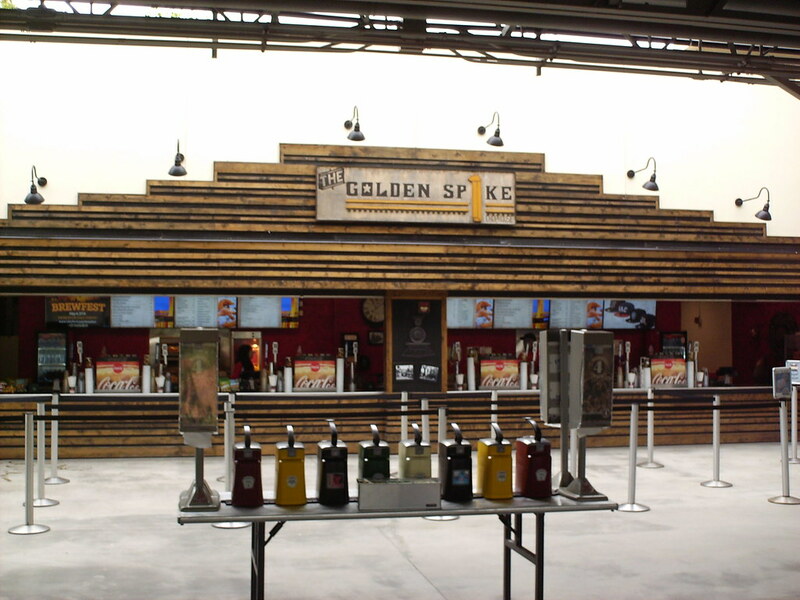 Concession stands pay tribute to California's railroad and gold rush history. 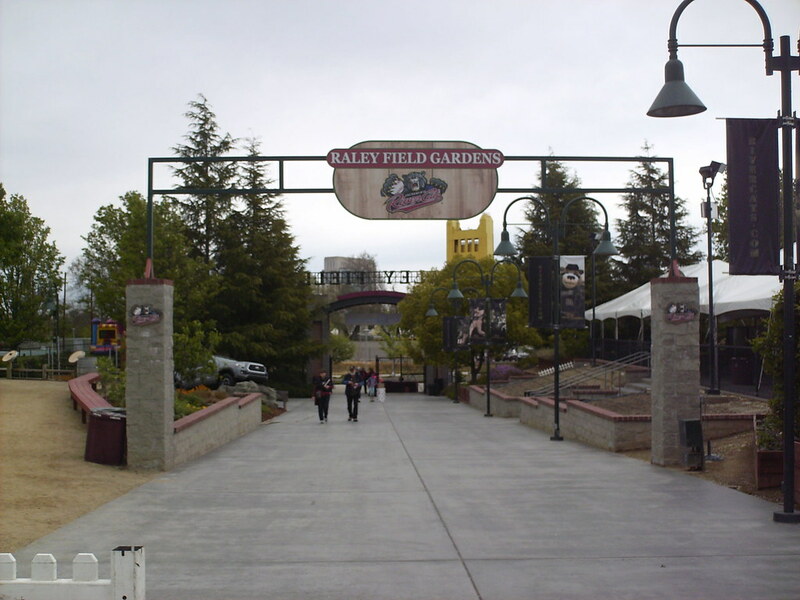 The right field gate features an elaborate garden pathway. 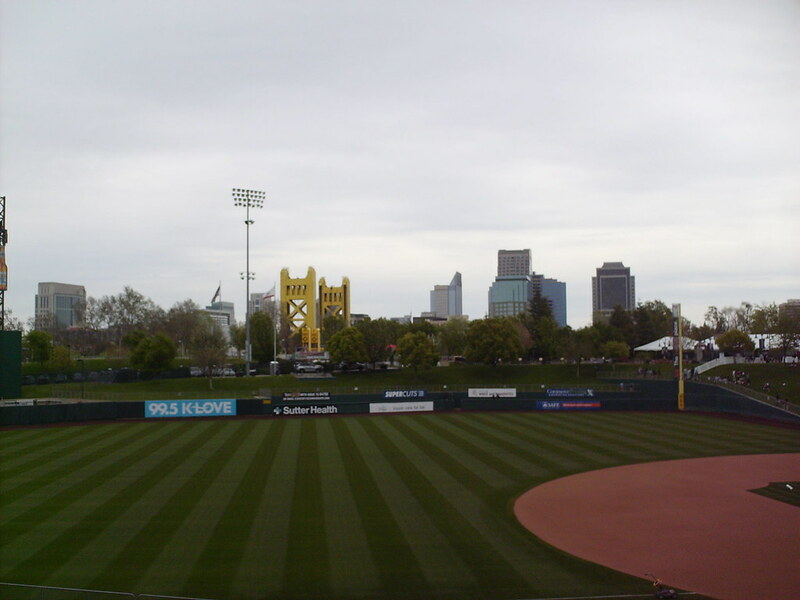 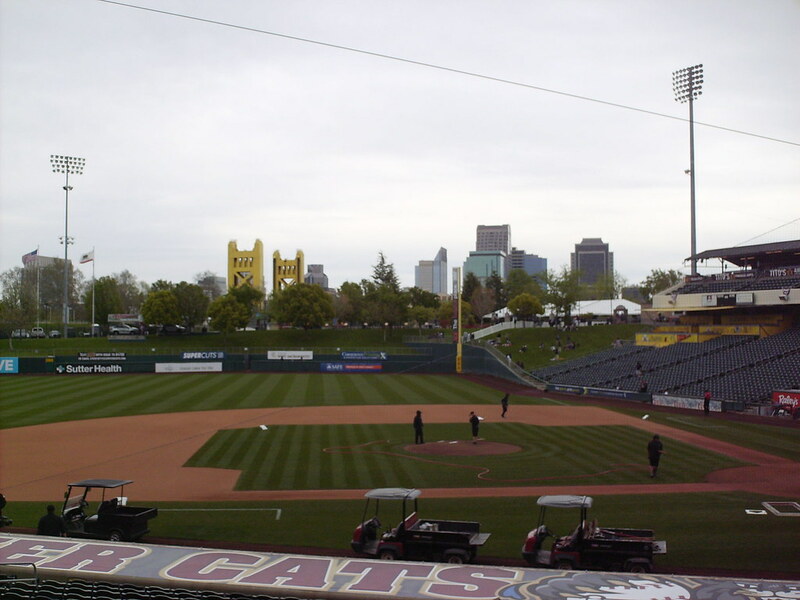 The buildings of California's capital city and the iconic Tower Bridge provide the backdrop for a game at Raley Field. 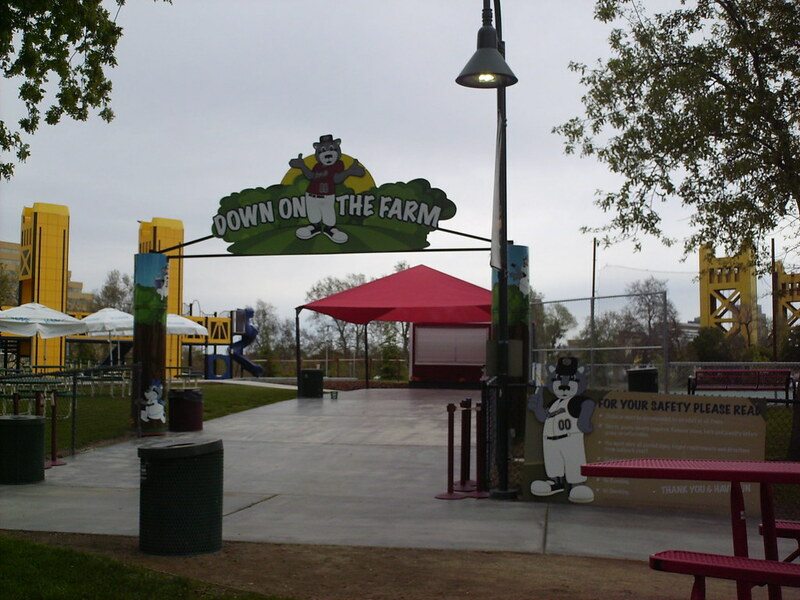 The children's play area features a playground structure that is a mini version of the Tower Bridge. 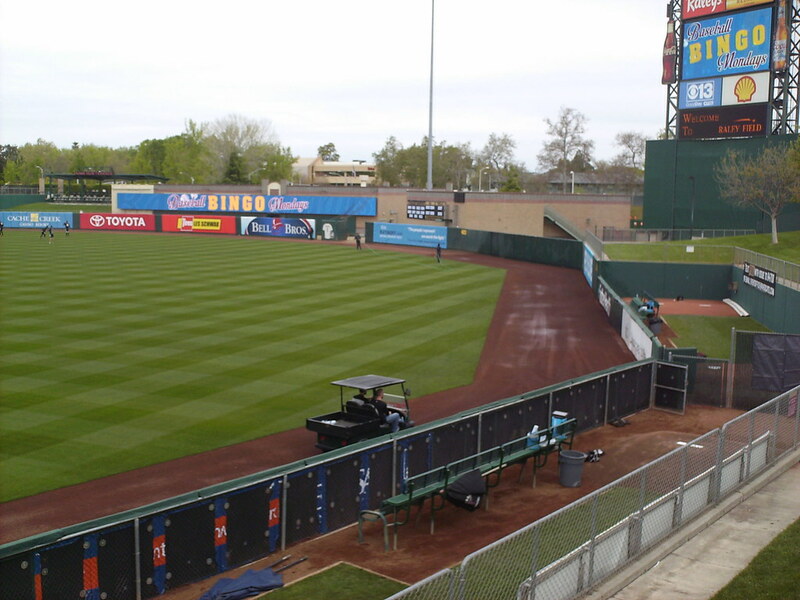 The outfield walls make several sharp corners and both bullpens sit behind the fence in right-center field. 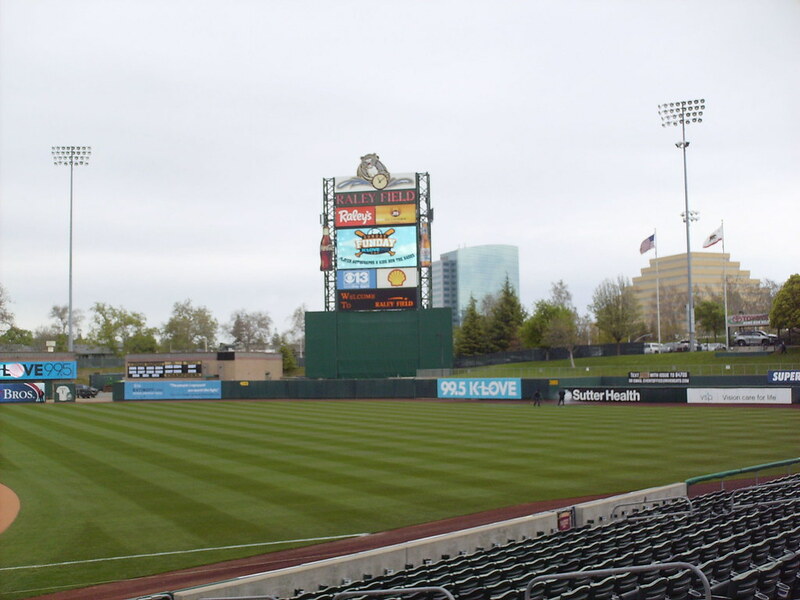 The scoreboard sits above the batter's eye in center field. 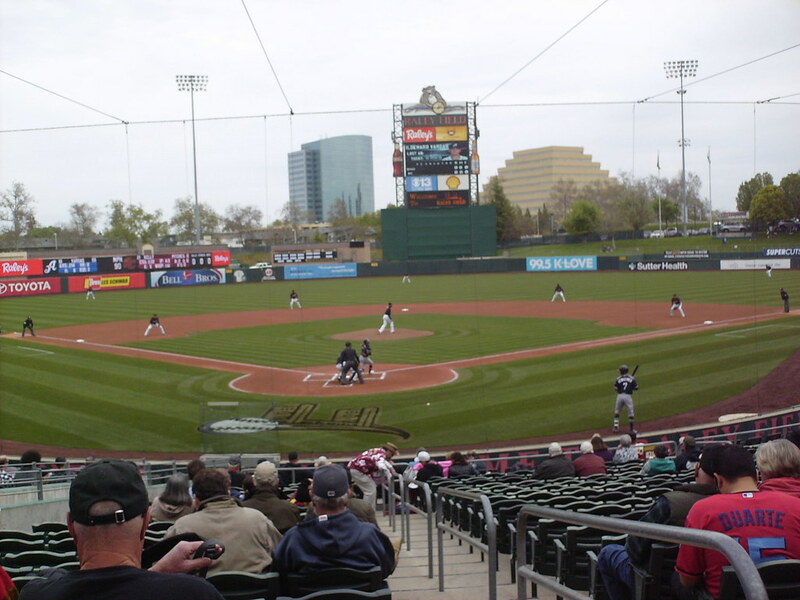 The Sacramento River Cats on the field during a game at Raley Field.